Our April issue of Intercom magazine is now available. 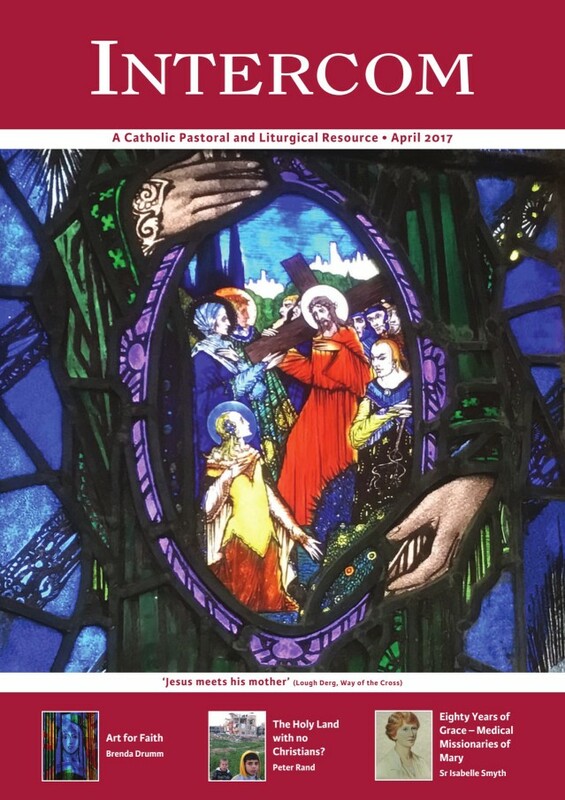 On this month’s cover, Jesus meets his mother in a stunning Harry Clarke stained-glass window of the Fourth Station of the Cross at Lough Derg. As we approach the Easter season, features in our new issue include editor Father Paul Clayton-Lea’s unique Easter experience in ‘The Art of Living’, Father Albert McNally on the challenge and opportunity of the Easter season, and resources from Lough Derg for the Stations of the Cross. Highlights this month include a showcase from the National Centre for Liturgy’s Art for Faith exhibition, a history of the Medical Missionaries of Mary and a feature on Opus Dei ahead of their 70th anniversary in Ireland, along with all our usual resources for the Easter season. Click here for Newsletter Resources, Resources for Family Mass and Irish Mass Notes for April.